Caffeine’s Influence on Performance, Production, and Awareness. I want to start out this week’s blog by letting you all know how terrible the timing of my last post was. 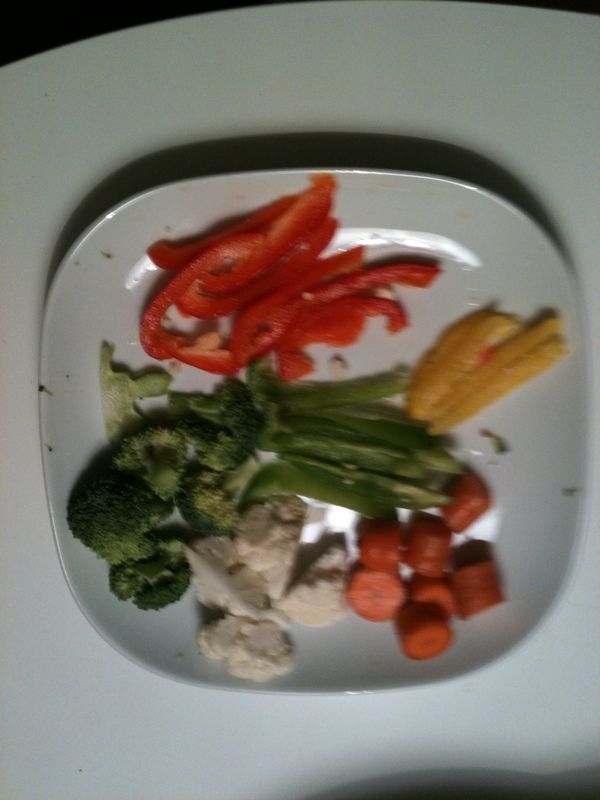 A blog about eating healthy the day before Thanksgiving! The average American consumes 4500 calories and 230 grams of fat on this glorious holiday. I think my 2 servings of pumpkin pie and carrot cake definitely contributed to this stat. I also heavily abused my own rule of “treating the bod”. Did anyone else? Since moving to Europe, I have been shocked at the amount of coffee and tea that is consumed. Despite how intelligent Norwegians are, I decided to do some research for myself. In North America, upwards of 90% of adults consume caffeine on a daily basis. Caffeine has been said to improve endurance, mental awareness, increase energy levels, and reduce fatigue. So what is the truth behind this stuff? Does it work? And is it worth it? From my findings and recent studies, the short answer is YES, in the correct amounts, and through the right source. 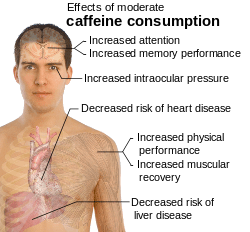 Caffeine is plugged into the adenosine receptors(these are the body’s version of a regulatory function to slow down your central nervous system), to inhibit or slow down adenosine from performing its job. As a result, the caffeine causes your central nervous system to run at a faster rate. Thus, you experience a rise in blood pressure, an elevated heart rate, and stimulated cortex, that can give you a clearer thought process, increased alertness and energy levels, and can rid muscles of fatigue. Soon after your first sip, caffeine begins to work its magic by causing the release of dopamine. Dopamine is a brain chemical that stimulates the area of your brain responsible for alertness, problem solving, and pleasure. Caffeine can give people a greater ability of concentration for up to 1-3 hours after consumption. Caffeine also gives you the feeling of being activated, sharper, and has a mild mood-elevating effect. It causes a keener appreciation of sensory stimuli and reduces reaction time so you feel like you are “on the ball” . Studies show that caffeine increases the level of free fatty acids in the bloodstream which can boost fat burning levels and conserve muscle glycogen. Caffeine is a habit-forming drug in which tolerance and in some cases, dependence develops. It can affect sleep and cause insomnia, depending on the total intake daily. Coffee has been shown to stain teeth and can leave you feeling jittery if consumed in excess. Likewise, the sugar from energy drinks can lead to things like tooth decay and increased blood pressure and insulin levels. THE UNKNOWN-With new products continuing to be developed, the long term affects and combination of ingredients mixed together, will always be an uncertainty and something to be conscious of when choosing a product. The lack of transparency that companies provide in regards to ingredients and caffeine levels also raise concerns and questions with medical professionals. This is part of the reason why many of my suggestions steer towards products that come from more natural sources, like coffee beans and tea leaves. Containing between 30 and 85 mg of caffeine, tea is made up of things like catechins, theanine, and caffeine, and is a great natural source of energy and antioxidants. Specifically green tea, which is filled with antioxidants and has been shown to lower chronic inflammation all over the body as well as slow down oxidative stress which causes muscle fatigue. Tea is an excellent source of caffeine for the common man or woman. A wide variety of products, but most have between 80 and 200 mg of caffeine. However, no one is certain about the caffeine levels because there is no requirement to list specific amounts in each product. Marketing slogans claim that the combo of stimulants and vitamins(guarana, amino acid taurine, and other herbs) help energy levels, when in reality it is the caffeine and sugar-glucose. Energy drinks are often times associated with a “caffeine jolt” followed by a “caffeine crash” which can be attributed to the high sugar content in most of these drinks. Between 150-200 mg of caffeine, energy shots are considered dietary supplements which means the FDA doesn’t require them to list actual caffeine levels. Despite claims, energy is not obtained from vitamins or minerals in these things much like energy drinks. The feeling that you might get from this product comes from the caffeine. The one advantage of this product over energy drinks is the “no crash” element. Despite boasting a 12 % market share, I would air on the safe side and stick with products that list ingredients and comes from a more natural source. Generally between 20 and 50 mg of caffeine, sodas have been linked with everything from type 2 diabetes, high blood sugar, high cholesterol, to one of the leading causes of obesity in North America. You will get more energy from the sugar and other ingredients than the actual caffeine in pop. In other words, stay away from sodas completely, even if it is “Diet”. New companies and products continue to boast new caffeinated products every day. Because of the variety of products, many of the new energy drinks, shots, and pills, are very unregulated and often times have no 3rd party inspections. Unlike coffee, energy drinks and shots contain several “Energy Boosting” ingredients that have little research and data to back the claims. You also need to be aware of the calorie levels in some of your favorite drinks, as some have over a meals worth of calories, sugar, and the dreaded high fructose corn syrup. Opt for a regular size product. Extra large energy drinks and Venti coffees can pack lots of unwarranted calories, sugar, and fat. The American Heart Association (AHA) daily recommendation for sugar: 37 grams for men (150 cal, 7.4tsp) and 25 grams for women (100 cal, 5tsp). One of the perks of choosing coffee and tea is what I call the “social factor”. Coffee and tea gives you a great option to meet with a colleague, teammate, or date. You can kill 2 birds with one stone by allowing caffeine to work its magic on your central nervous system while enjoying some camaraderie in a social setting. The amount of coffee shops, cafes, and patios in Europe alone has converted me into an occasional coffee drinker and avid tea fan. Most studies which have reported the positive effects of caffeine comes in doses of at least 5-6 mg per kg of body weight (5-6mg/kg) between 30 and 60 minutes before exercise. (For 180lb person you would need 400 mg or for 160lbs 350 mg). However, depending on your tolerance to caffeine, your intake levels could be much different. As a general guideline, take between140 to 400mg (example: between 1 and 3 cups of coffee) of caffeine between 30 and 60 minutes prior to exercise and through the product that works best for your specific body type and lifestyle. (That means do a little experimentation with some products before practice and if you find one you like, use it for games, matches, or events) Because of its affect on sleep, I would try and and limit my caffeine intake to anytime before 6PM. Limit yourself to one serving of coffee or tea in the morning and depending on your energy levels throughout the day/workout time/day’s agenda, one at lunch or in the early afternoon. For the Average Joe, I would avoid energy shots and energy drinks to steer clear of high sugar levels, high prices, and the chance of missing out on the “social factor” you can have with a cup of coffee or tea. As a last tidbit to influence your decision, caffeine consumption from coffee and tea can improve brain health, prevent Alzheimer’s, and lower the risk of Parkinson’s Disease. Thanks for everyone’s interest and feedback on my blogs. I Really appreciate any comments, positive or negative. This is my first post! I will try and post at least once a week on an extremely wide variety of topics ranging from hydration, to specific workouts, to insights on food and supplements. For my first post, I will give you a general outlook on what i think about nutrition and an example of a healthy days worth of food. 1.) 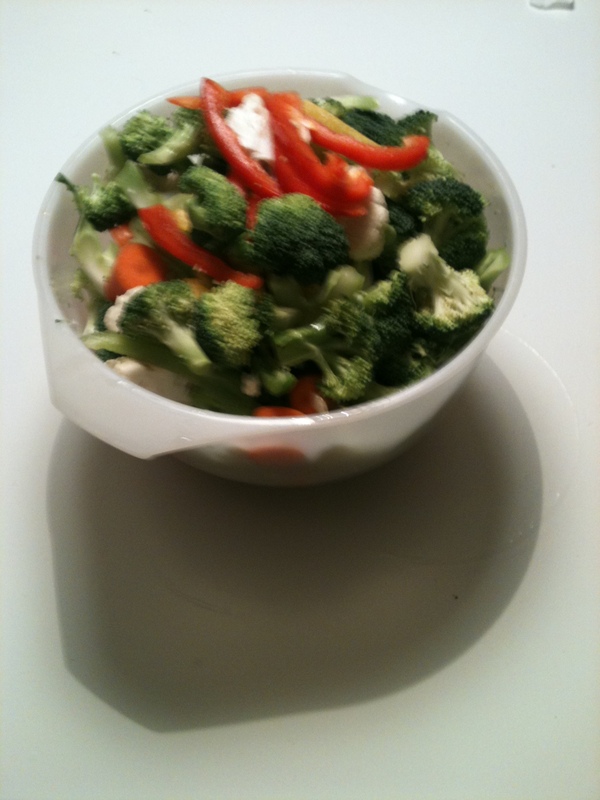 4 or 5 small meals is much better than 2 or 3 large meals. Eating small meals every 3 hours increases your BMR (baseline metabolic rate), increases energy levels, and decreases appetite as well as prevents you from stuffing yourself at one sitting. 4.) Take a Fish oil supplement. It is as close to a miracle pill as you will get. Do some research on its benefits and you will be shocked. Try and get at a minimum 1000 mg of omega 3s (look at the back and only count the DHA+EPA) I currently take 2000 mg a day, $12 at any store. 5.) Make sure you get your 5 servings of fruits and veggies. It is a great way to cut calories and load up on fiber and add essential vitamins, nutrients, and antioxidants. If possible, try to get your 5 servings of fruit in before 4 P.M because fruit has sugar. Some studies show if the sugar is not burnt off it can actually turn into fat if you eat too much of it late at night (there is some debate about this). In General, air on the safe side with fruit for breakfast,lunch, and snacks, and veggies for lunch and dinner. 6.) Invest in some Chocolate milk! Post workout, this is the best thing going. It has the 3/1 Carbs to protein ratio which is perfect post-workout.MAKE SURE you drink it within 15 minutes of finishing your workout. (Called your Glycemic Window- Numerous studies show refueling immediately after workout is the best way to help replenish glycogen levels. If you don’t refuel with anything for up to an hour after workout you can severely hinder your entire workout and the muscle fibers you have worked. Shoot for 15-20 grams of protein in your glycemic window and 5-10 grams 30 minutes before workout for optimal results). 7.) Carry around some sugar-free gum with you if you are trying to lose weight. If you ever have cravings just chew a piece of gum or slug some water. This has worked great for me in the concussion period and helped me cut down my caloric intake while I let my brain rest. 8.) The less ingredients the better. Look at ingredients on things you buy. STAY AWAY FROM HIGH FRUCTOSE CORN SYRUP(Researchers believe this ingredient has been instrumental in the spike of obesity rates in our country. (also known as evaporated can juice, corn sugar, fructose, glucose) You would be shocked at how many things this stuff is in. Look at the ingredients of something as simple as cereal or ketchup, and it is usually the first ingredient. PLEASE STAY AWAY FROM THIS. 9.) Do some research on Organic vs. non organic food. You can save a lot of money here. Some things you want to spend the extra dollar on to buy organic such as cereals, peanut butter, ketchup. Others such as veggies and some meats you are fine going with a non-organic option. 10.) Always buy the generic brand. It is less expensive and usually has less additives like HFCS. Other good things to add to oatmeal are honey, cocoa, peanut butter, or any fruit. Steel Cut Oats are always the best way to go but if you don’t like the taste like me, old-fashioned unflavored oats are fine. Stay away from the packaged oatmeals. They have a lot of added sugar and other processed ingredients. 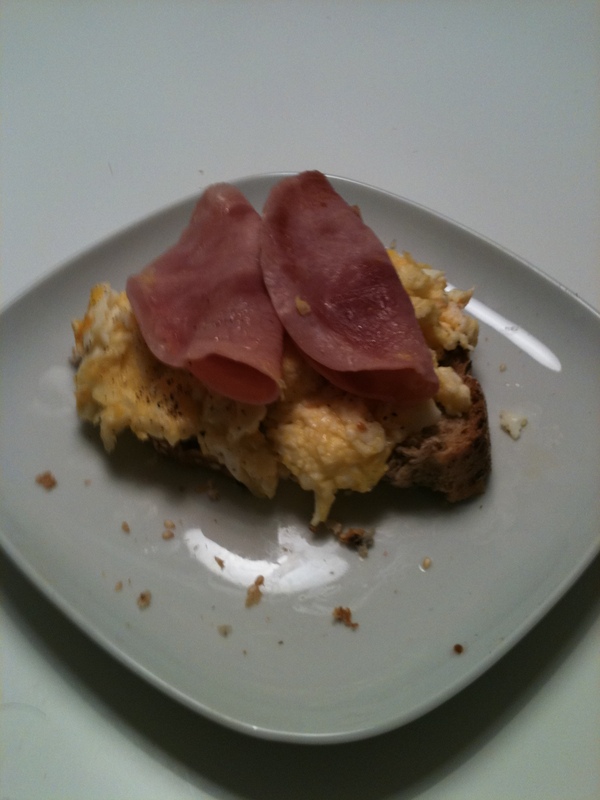 EGGS– Everyone needs to add more eggs to their diet! Scientists and Nutritionists have nothing but great things to say about them. (Studies show they raise your Good Cholesterol (HDL) levels and not your Bad Cholesterol (LDL) levels. I have 2-3 eggs every day. Very High in protein and low in Cals.-More to come later this month on the benefits of yolks. GREEK YOGURT– A great way to start off the day. Very high in protein and antioxidants and low in carbs and sodium. Very easy to digest and versatile so you can eat it “on the go”. Only problem with this product is it is expensive. I suggest buying in bulk from big stores. SHAKES– Can be used to gain, lose, or simply maintain weight. Great if you are in a rush in the A.M as long as you put the right stuff in there. Good ingredients to use- Low fat milk, berries or any fruit, Organic Peanut-butter(protein), OJ, A nutritional powder or protein powder( specifically Whey-which means it absorbs fast), cinnamon, Low fat yogurt, and greek yogurt. Stay away from ice cream, syrups, chocolates, and high sugar juices. ANY FRUIT– Apples, pears, banana, a handful of strawberries, cut up pineapple, mango, or melon. OPEN FACE TUNA MELT– If you are trying to lose weight try to keep all sandwiches to one piece of bread because you immediately cut out about 100 calories. Drained Tuna from water is great source of protein and very filling. DON’T ADD MAYO. add a little spicy mustard or some other spice or garnish but stay away from mayo, it is terrible for you. One piece of cheese is fine and add some lettuce, spinach,celery, or other things. Low fat yogurt-Good quick source of phosphorus, and iodine, calcium, and riboflavin. If you can have enough courage to go with the natural unflavored yogurt it usually has less sugar. Organic crackers or an Organic granola bar– Make sure you look at the ingredients in these things and don’t be fooled by the marketers(yes i was a marketing major). Check sodium levels as well and if there is no high fructose corn syrup or some code name for it like evaporated juice or brown rice syrup then you are probably in the clear. This would be my last option just because these things are processed goods, but if you buy organic or make your own you should be fine. 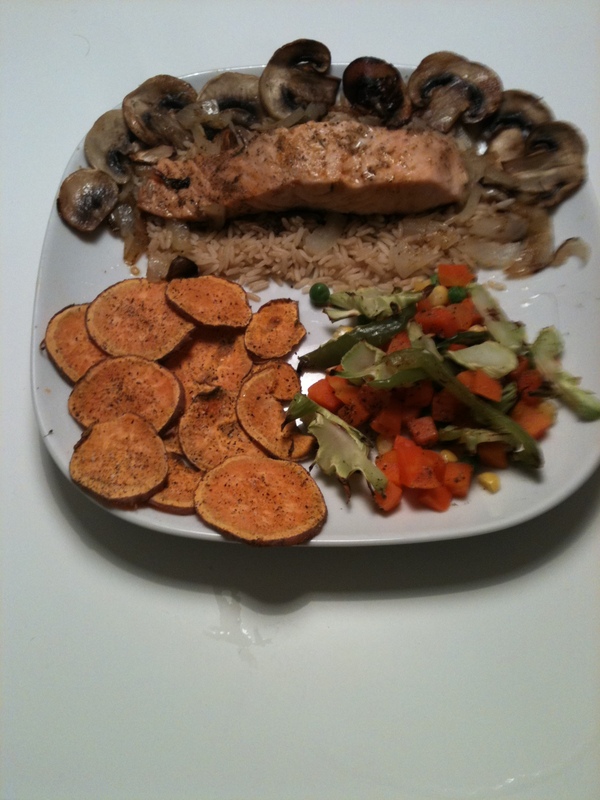 My Dinner 630 PM- Grilled 6 oz salmon fillet served on top of 1/4 cup of gluten-free brown rice with sautéed mushrooms and onion. Served with baked sweet potato slices (Substitute this for other potato products whenever possible because they have massive amounts of beta-carotene and vitamin A) and steamed veggie blend (broccoli, green pepper, asparagus, and carrots) This dinner is loaded with vitamin, minerals, and fiber which will keep you feeling full until bed and also has a great balance of protein, fat, and carbs. This dinner only had 550 calories. Meat–Always have some lean meat with dinner and EAT MORE FISH. Recommended by doctors is a minimum of 2 servings a week. Fish such as salmon, trout, halibut, perch, mackerel, and tilapia work wonders for your health because they are loaded with healthy omega 3’s and high in protein,vitamins, and other great nutrients. I have salmon 3 times a week in Norway. Boneless skinless chicken breast, 93% or higher lean ground beef or ground turkey are fine, pork chops, and a good,lean cut of steak. Whole grains– Quinoa, barley, wild rice, brown rice, or a good whole grain piece of bread is okay. If you have a big workout, race, or game in the morning or the following day ramp it up a little bit and have more grains such as whole wheat pasta. VEGGIES You can really get creative with anything here. It is hard to go wrong with any vegetable, but I encourage more people to try root vegetables which are extremely healthy and high in fiber such as parsnips, turnips, beats, and of course SWEET POTATOES. Chocolate– Studies show dark chocolate has a lot of antioxidants and its okay to treat yourself but don’t go nuts. If you add up my meals it was only about 2000 calories which is extremely low for a male. However, since I am doing literally NOTHING active right now as I try to let my concussion heal 2000 is probably enough because I am not burning many calories throughout the day. Like I said, I have lost about 3 pounds since cutting my caloric intake with the concussion(most of which is probably muscle). Once I become active again I will increase my protein and calories intake to try to regain muscle mass. The last few things to keep in mind.